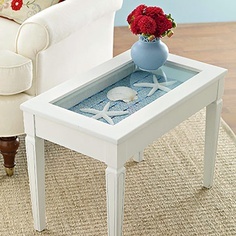 HGTV and the DIY network make refurbishing old furniture, and home projects look easy and fun! I&apos;ve recently become one of the millions of obsessed fans in my quest to find old furniture and knick-knacks in hopes to find a way to cheaply furnish and give some personality to my first unfurnished apartment as I move back to college. Here are some of the tricks I&apos;ve figured out. First you need to search consignment furniture shops, thrift stores, and places like the Salvation Army or Goodwill in your area. Be patient you will find a lot of junk, but buried in it all you can find really cool stuff. All you need to do is look at the potential and not how it looks as is. I found a vintage dresser probably circa the 1970&apos;s at the Salvation Army on Broward Blvd in Fort Lauderdale, price tag $189; it needed some serious work and definitely not worth $189, but one little trick any bargain hunter will tell you is to look at the arrival date because after a certain amount of days they keep taking a percent off, starting with 20%, then 50%, up to 75%! After 30 days I waited and came back hoping it wasn&apos;t sold and I got it for $37 and also found 1950&apos;s style dining chairs and dining table for less than $100! How&apos;s that&apos;s for a deal. Again, be patient you are going to find a lot of junk, but they get trucks in every day, so you&apos;re bound to find something great. Now comes the hard part; being creative. The easiest way to make old, outdated furniture updated and new is to paint it, which is exactly what I&apos;m doing for my dining chairs, coffee table, and dresser. I&apos;m taking it a step further with the dining table and staining the top and painting the legs and trim. Staining wood is easy just make sure to sand it really well starting with rougher sand paper then finishing off with fine sand paper and sand with the grain of the wood. If your piece is painted and you want to stain it, you can find paint remover at any hardware store, then sand it. Or if you&apos;re into a more vintage look and you found a great piece, leave it as is. The chipped paint and blemishes will make it look shabby chic. What really makes refurbishing furniture fun is finding new fabrics! That&apos;s when your vision starts coming together. Take your time mix and match, give yourself multiple options and you will come up with great combinations, but remember this age old trick; stripes with patterns, they look great together.